Paul I m having trouble swinging down with the driver. Any ideas? I don’t do this all the time but have some ball marks on top fo the driver & fairway metals. You only have one swing. This swing should be working for all clubs. Not being able to hit the driver is telling me you are tying to hit it way too hard. First you need to be slowing down and loosening up your wrists. This means you arms are powerless. 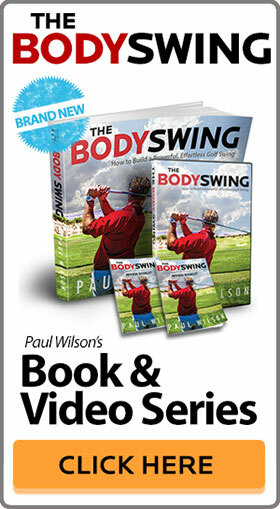 You are then hitting the ball by coiling and uncoiling your body. Great tip Paul. Would have loved to see the down the line view of this one. What cue do you use to insure the shaft is parallel to your target line at the top? Cannot see that in the mirror. Thanks. Sure you can. You just turn so the mirror is off your right side. I used to do this every night. 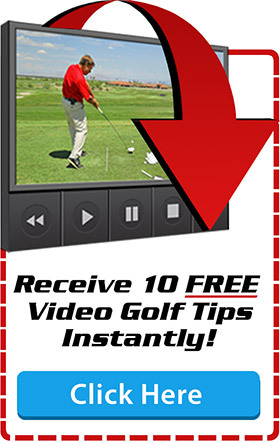 You can also focus on where the shaft is at the top relative to an alignment stick on the ground. Just take it to the top and match it up. Ideally, the club should be swinging back with the shoulder rotation. It hinges because the wrists are loose not because you are manually hinging it. The hinging action of course has to be worked on. Once people work on it, it should be happening due to the momentum of the club swinging back. So the pendulum effect would be applicable. My problem is the ball flies very low so that it never goes as far as it could. My pitching wedge and sand wedge shots are better. i’m not topping my shots and i believe it is the relaxed swing you advocate, because everything has improved, but this lack of altitude is costing me distance. If your ball is flying low you are de-lofting your club. This is usually due to a strong grip and your hand too far ahead of the ball. Please check this. Search in the red nav bar: SWING TIPS > FULL SWING > GRIP then make sure you setup up with your hands just slightly left of your belt buckle if you are right handed with irons. Driver may have your hands behind the ball. I wrote with in the past few days with a short swing issue, & I was also concerned about being too flat. This tip is exactly what I needed to resolve this issue. I’m extremely glad I joined your site. Your tips cover most any issue we might be having & your teaching style is better than most public teaching pros. i have been trying your swing for about two weeks now. I am able to get powerless arms only for a few swings it feels effortless but the ball only travels a about 60% of my distance. My club at the top of the back swing is not on top of my head to do this i feel like my right elbow separates from my body too much is that ok? also tip for swaying..? So you are swinging a completely different way with no arms and you are already at 60% of your best shot. Sounds good to me. Keep doing it until you are good at it. Once you have kept the arms out a little longer you speed up ONLY by driving your legs harder. If you try to do this now, you will add your arms as well and this will be a total waste of time. These drills will work on increasing our leg drive. Great. This shouldn’t take you that long to set the top properly. Stay focused on this for a while until you set it without thinking about it. I have been a member for about 2 years. I joined because I am a golf coach at my HS and wanted to be a more effective coach. My biggest struggle is with the beginning golfers. I have watched the videos and I am beginning to work through everything with them. I started with grip and stance and have followed the videos as I am trying to teach them. Do you have any advice on how to best help students who have never touched a golf club before? My goal is that I give them a taste of what your product has to offer and that they become members! I teach all golfers the same way. You can go to the page below and just go through each of the lessons. I also put all related tips to the lessons right below each tip. This should cover everything. Thanks for the promo and good luck with the kids in the future. You get them doing my positions and they will win. They are young so they should get it really quick. 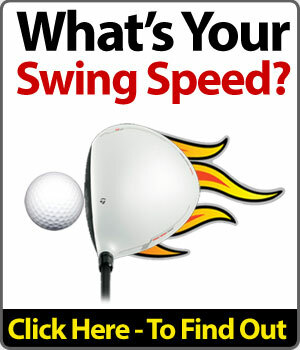 How fast should a 7 iron be swinging for an average 50 year flexible old man?